Have you even bought a watch and wondered why the packaging is so much bigger than the watch itself? Nooka, maker of sci-fi inspired watches, has recognized this problem and are taking a creative and eco-friendly approach to solving it. In an effort to produce sustainable packaging, they have decided to collaborate with SiliconeZone, maker of silicone based kitchenware. The outcome? Packaging that is similar to that of Tupperware. 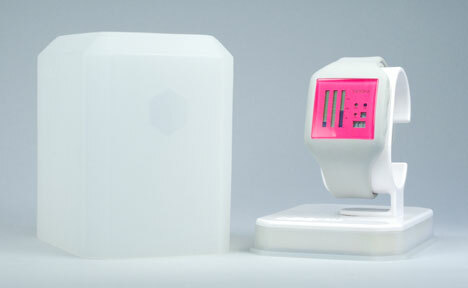 This holiday season, Nooka’s watches will be shipped in boxes that are made out of cooking-grade silicone. These boxes are durable, reusable, and even microwave safe. So instead of throwing away the box after opening, it can be recycled and used to store pasta, soup, and anything else you can think of. Nooka will also eventually post recipes on its website that can be stored or made in their new packaging. Although it is a little strange to think that it is possible to eat out of a box that a watch used to be packaged in, the idea is actually a part of how Nooka wants to operate its business. They believe in constant advances in technology and originality in design. 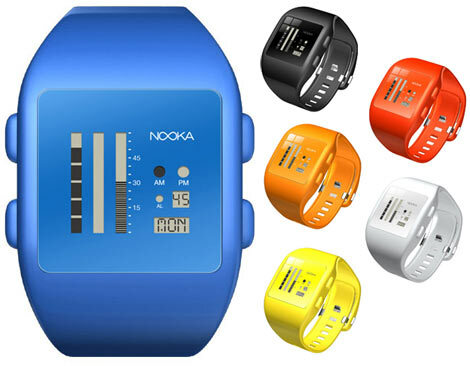 Having an “anything is possible” mindset allows Nooka to be able to create possibilities that are sustainable and futuristic. They pride themselves in taking everyday objects and taking an alternative approach to making it better. The creation of an eco-friendly and reusable package is just the beginning for Nooka and it will be interesting to see what they think of next.